On June 6, 2015, the unthinkable happened: my children witnessed me out of control drunk and they were apologizing to my sister and her husband for my behavior. The next day, I did not remember it. All I knew was I had been having a good time dancing to great music when my sister suddenly refused to serve me more red wine. I passed out in the dress I had worn that day, and the next morning I had a mother of a hangover. Today, 90 days into my sobriety with the help of Alcoholics Anonymous (AA), I thank God for my ability to still feel shame, otherwise I may have never stopped drinking. It was pure shame that led me to my first AA meeting 3 days after the incident. Because, in my mind, nobody had ever noticed I was drunk (nearly nightly) sitting quietly on my couch at home, I had never until that point had to confront the brutal truths about my drinking. The AA “Big Book” refers to alcohol as “cunning and baffling.” Indeed it is. Cunning because I wanted it in spite of all the reasons why it was a bad idea. Baffling because it never once made my life better – yet I continuously sought it’s soothing comfort (with strings attached). I can see now, after 90 days in recovery, how my disease was progressing rapidly. I changed my definition for needing a drink from feeling “stressed” to the mere fact that it was 5 o’ clock in the afternoon (a cliche because it is true!). After about 2 weeks of attending AA meetings, my shame began to fade and, in its place, I felt something I had not experienced in years: optimism. I started thinking about all the things I wanted to do instead of have! That little inkling of hope called possibility started growing in my consciousness. I was starting to think that a better future might be possible because of the tools I was learning from AA. 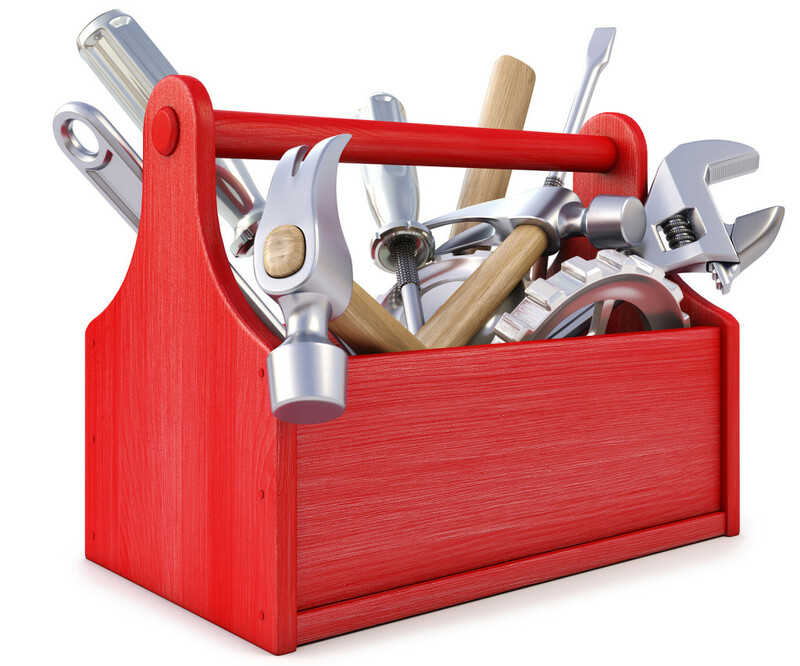 Trying to fix something without a tool is magical thinking. One by one, I was getting new tools to add to my toolbox. Before getting some sobriety under my belt, I would give up before I even started because I just knew I would fail. One of the phrases I kept hearing repeatedly at AA meetings was, “You don’t HAVE to live your life like this. You CAN HAVE a better life.” Okay, that’s a big promise – show me HOW. And AA delivers. By talking to people with many years of sobriety, I am learning how to recognize my triggers for self-destructive behavior before they overtake me. Check out the cupcake photo from my first birthday – I really dig excess! My new friends with more sobriety than me are teaching me that I don’t have to be a slave to the self-esteem killing, excess-loving beast inside of me. I can conquer the beast, if even minute by minute some days, by being honest with myself and living a life that sustains serenity. For some people, this involves daily rituals like starting each day on your knees and thanking God for waking up sober. I am not ashamed to say that I need to practice healthy rituals to stay sober – I am grateful that I now know other people who share this need! 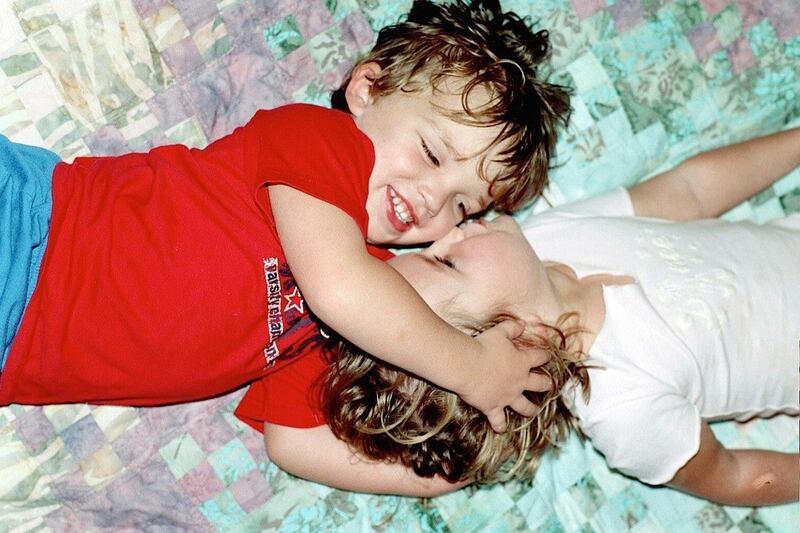 My children as babies, innocent and playful and loving each other. Tomorrow, when I wake up and officially have 90 Days of Sobriety, I will begin my day in somber gratitude to my Higher Power who is showing me that to be good to others, I must first be good to myself. I can’t believe that in just 90 days I, the “Queen of Dread,” am looking forward to the rest of the journey with anticipation and excitement. At my lowest point, I told my incredulous husband, “I cannot imagine enjoying anything right now.” That was the beast talking. I don’t serve this creature anymore. But it takes conscious effort, every single moment of every day, to keep the beast quiet. And I will never forget that it might have been shame that led me to this journey……but it is gratitude that propels me forward. CONGRATULATIONS!!!!!! I’m so happy for you. Not just for the days but for the life altering attitude you’ve cultivated over the last 90 days. Sobriety is such a wonderful place to live. Thank you very much, Sherry!